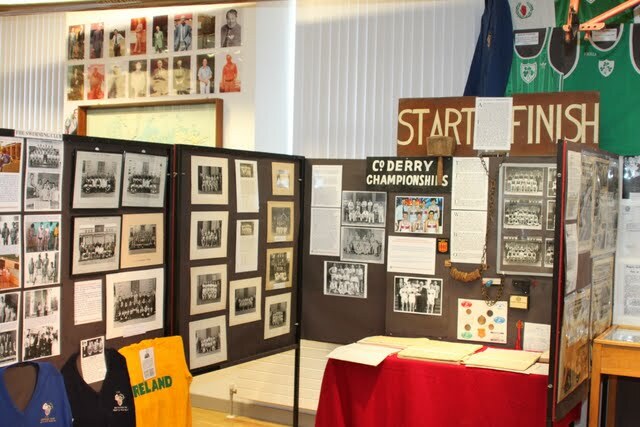 Coleraine Inst is one of a very small number of Northern Ireland schools to have a Museum and Heritage Centre. The Museum has already caught the imagination both of the school and the wider community. It is rapidly becoming an important asset in promoting the school as well as celebrating the past. To the left of the main museum entrance is a partial reconstruction of a classroom in the days before digital projectors and interactive whiteboards. 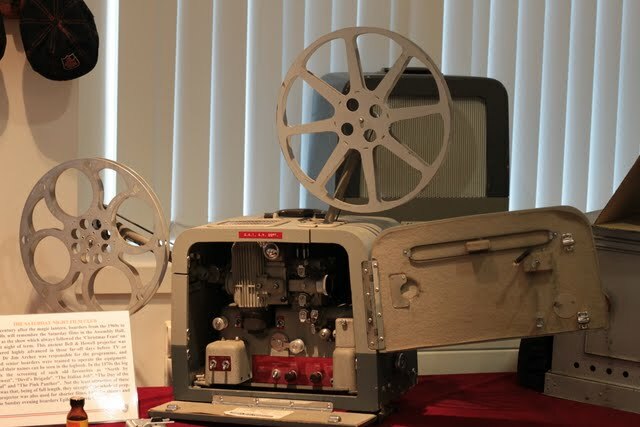 Visitors may possibly have learned their earliest school lessons sitting in such cramped desks with tip-up seats, or even remember being excited by the prospect of being shown filmstrip or allowed to hear an audio tape. 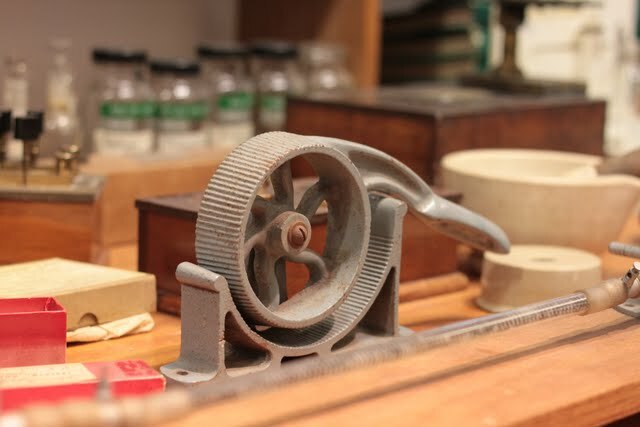 In the days before photocopiers were standard items in a school office, teachers produced notes on ancient hand-cranked banda machines (older visitors may remember sniffing the pages that reeked of meths?) or wrote them on blue Gestetner stencils. 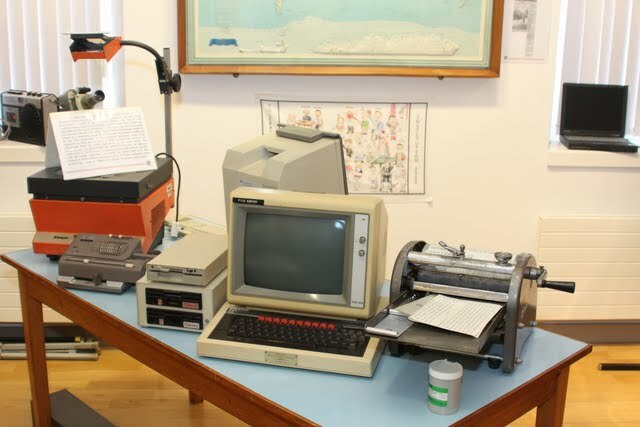 In the early 1970s the overhead projector appeared, and the 1980s saw the start of the computer revolution in C.A.I. 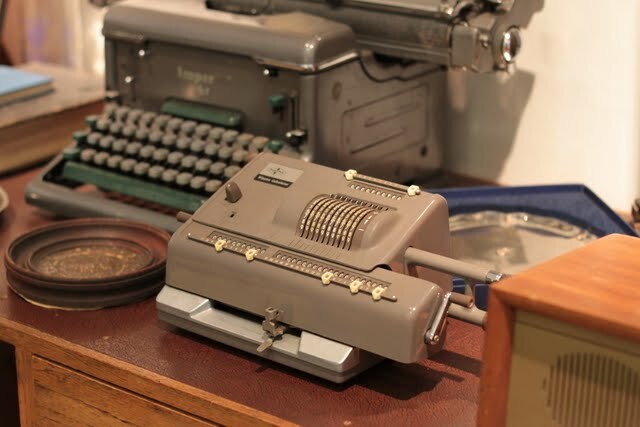 – the very first computer came here in 1984, on display here beside the faithful Apple Mac with its nine inch screen. 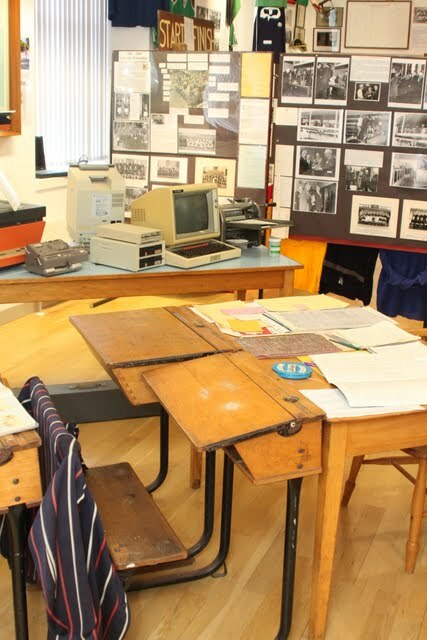 Not all teachers kept a tidy desk, and this one contains a fair number of items spanning a twenty year period. The glass cupboard (most of the woodwork at Coleraine Inst used to be in that familiar blue) came from the Model School, the desk from room 32 and the chair from the Geography Department. There is a selection of prefect photographs from the 1970s and early 1980s in which can be identified an actor, a media presenter, a former Chairman of the Ulster Farmers Union and a current Governor of the school! 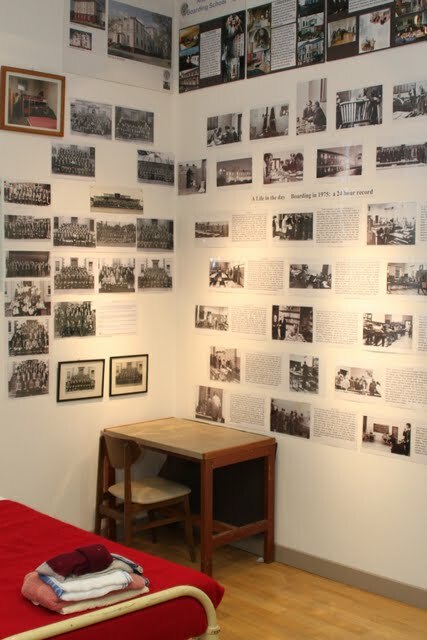 Some photographic displays give some idea of the expansion of the school community from the 1950s to the 1990s, including a special section covering staff photographs over four decades. 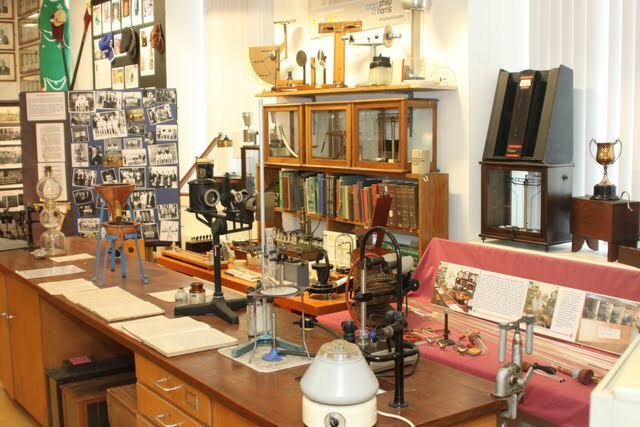 Opposite the classroom is a display of Science equipment, some of it going back to the turn of the twentieth century. 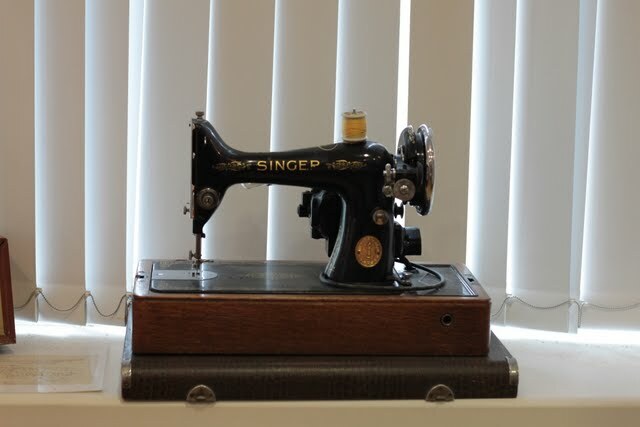 Some of the older equipment still defies identification – if you have specialist knowledge, we would appreciate your help to fill in the gaps in our knowledge! 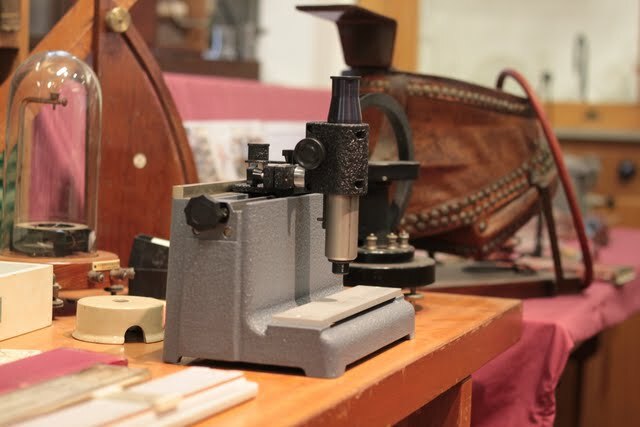 The oldest item is almost certainly a brass microscope in its original case, given to the school in 1883. 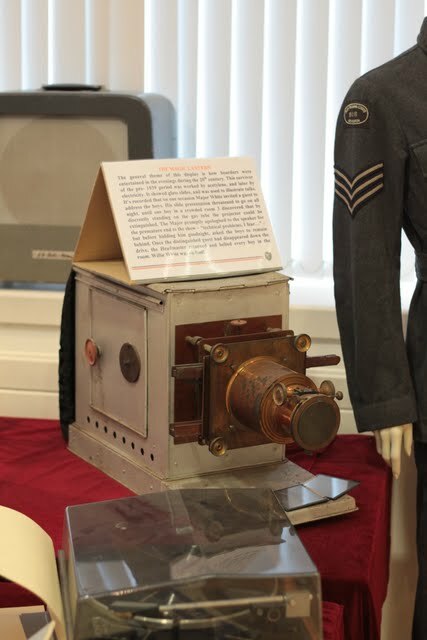 One of the oddest is a small episcope which (in theory) could project a picture on to a screen. Those who remember it, though, reckon it needed the eye of faith to see. 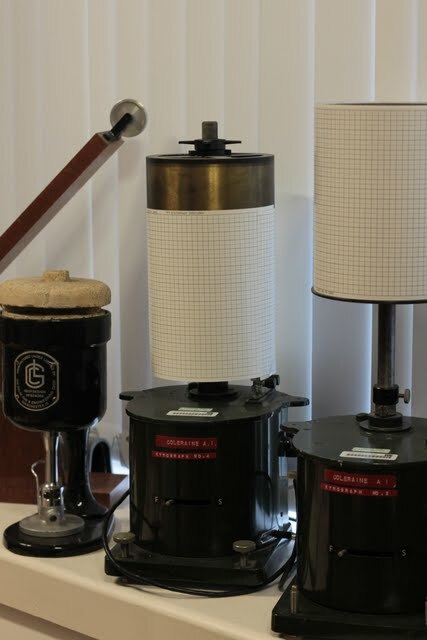 Among the most ingenious is a Quickfit Lab – the 1950s equivalent of a ‘virtual’ laboratory – used in the teaching of advanced level Chemistry. friday callover? –the rollbook for the Bible Class, and Boarding Rules for Sundays. There is a duty rota, showing the complexity of running a boarding school of up to 300 boys and over twenty teachers, to say nothing of the Matron’s ancillary staff and the catering staff. 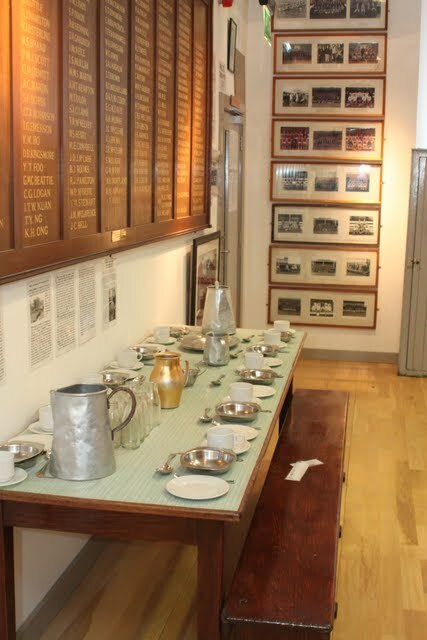 Look out for items as big as the fireplace and the Prefects Board from the Boarding School dining hall, and as small as a staff napkin ring, a metal cereal bowl, and the bell rung for the Sunday Walk on the school grounds. A small but significant corner of the museum gives a flavour of “The Bookroom.” Pupils of the 1950s-70s era will remember Mr Irwin Rainey: in the days before on-line ordering, every school relied on one teacher who co-ordinated all the book and stationery orders, as well as billing boys for books in those far-off times when every textbook had to be paid for! 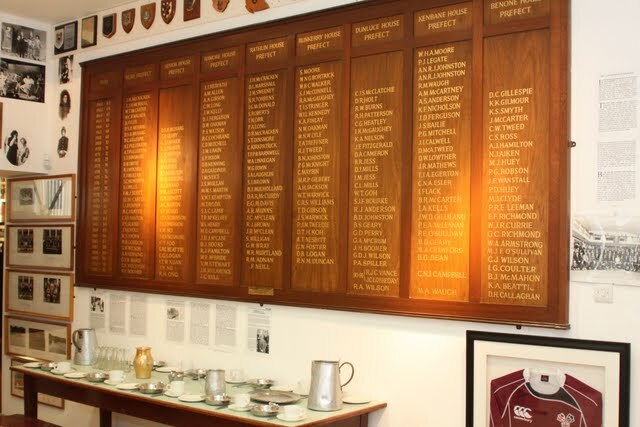 On a nearby wall can be found our “Hall of Fame” which celebrates former pupils who have achieved fame in their particular fields. This is very much ‘work in progress’ and is being added to on a regular basis. 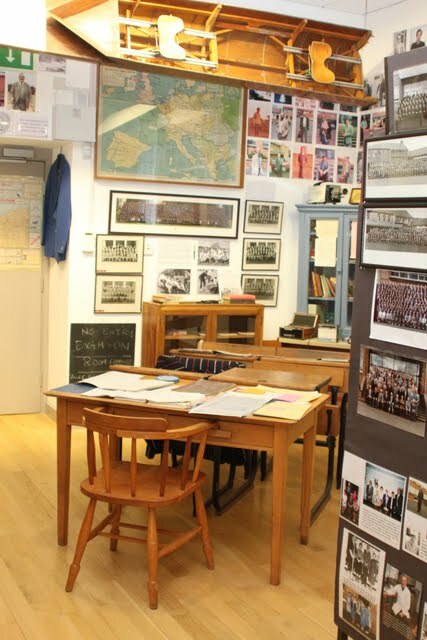 Headmasters are central to any school, and we have recreated Dr George Humphreys’ study as it would have looked in the early 1960s. 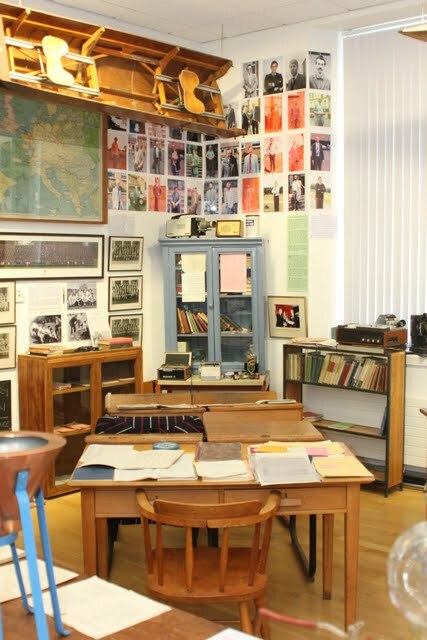 On the desk is material spanning a fair slice of the twentieth century – including Dr T.G.Houston’s record of State Examination results with the name of John Bodkin Adams – one of the school’s more interesting former pupils! 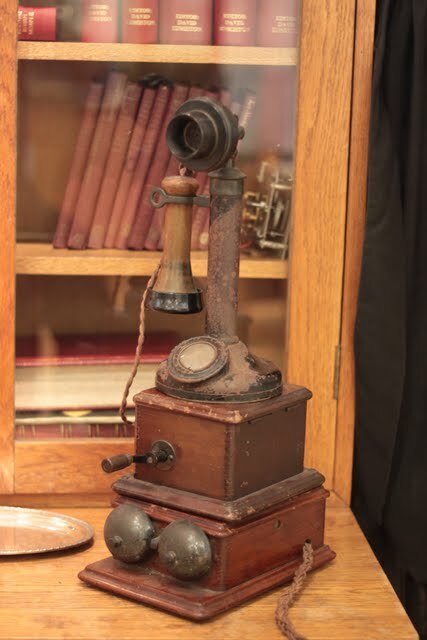 From a later period comes an ingenious intercom system by which the Head kept touch with the downstairs offices (no video conferencing in those days! 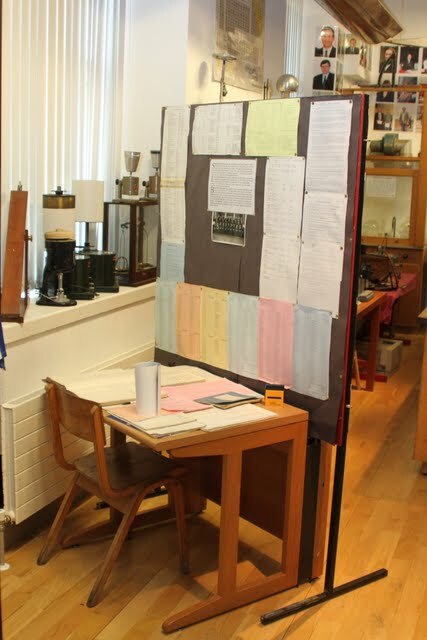 ), and behind the desk is the glass case with the teachers’ timetables which Headmasters consulted in the days before SIMS told them everything! Pictures of two long-serving staff of a former age – Albert Clarke and Dr S.J.Hunter – can be see on the wall behind. Pride of place goes to a portrait of Lieut. H.D.Hammond, the first former pupil to be killed in military action, on the North West Frontier in 1897. 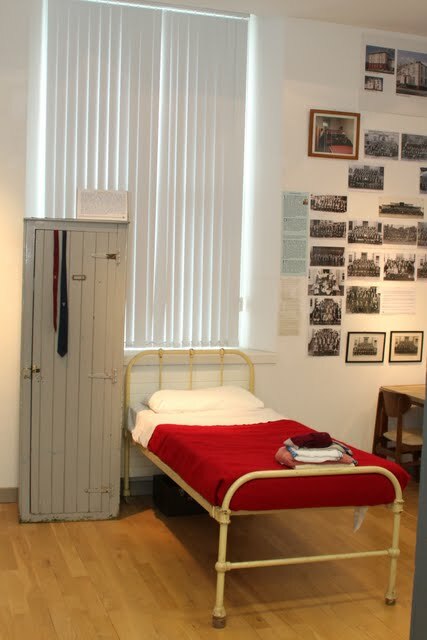 In the adjacent War Memorial annexe, there is a poignant display of pictures commemorating former pupils who gave their lives in the First and Second World Wars. 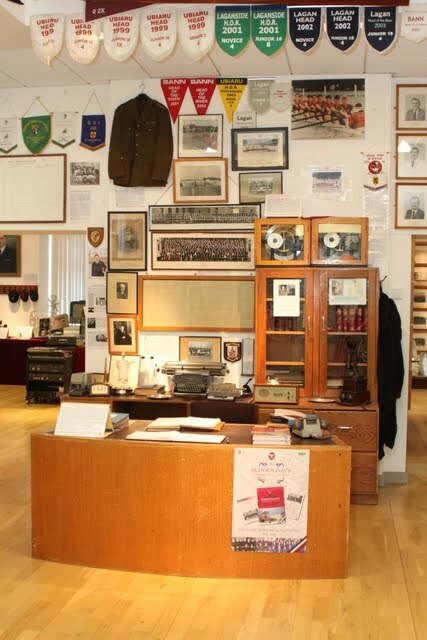 This section of the Museum also contains a selection of documents and photographs covering the first three decades of the school’s history from the 1870s to the 1890s. Sports, and extra-curricular activities generally, are a huge part of school life. 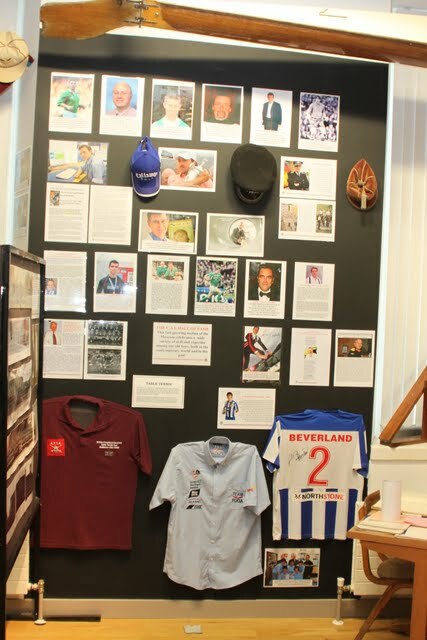 There is a variety of exhibits, and our longer-term plans include further coverage of the full range of sports, societies and cultural activities – we have begun with a commemoration of musicals of the 1990s. 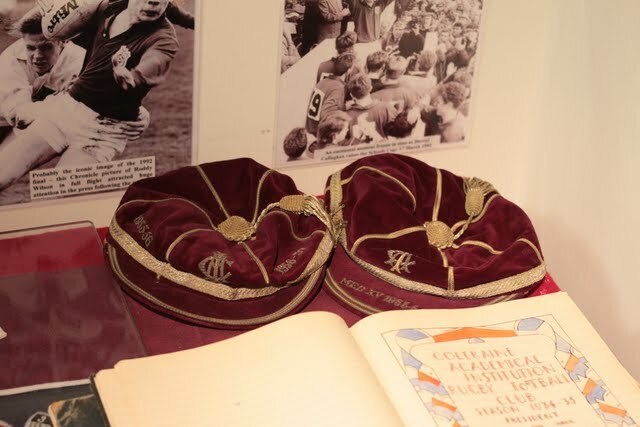 There is Rugby memorabilia going as far back as the 1895-1986 season, and as far forward as the Schools Cup victory nearly a century later. 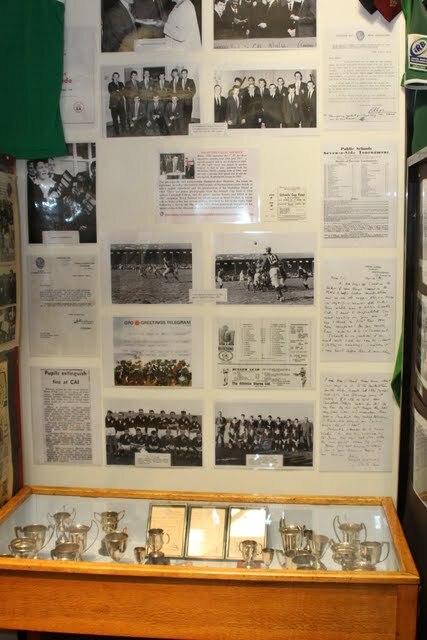 The smallest exhibit is a miniature Schools Cup, given to each member of the victorious team of 1939. 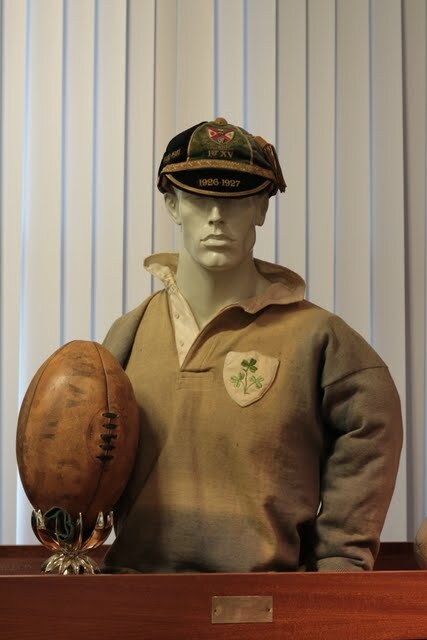 Among the rugby shirts presented by Former Pupils is an Irish jersey donated by the late H. O’Hara O’Neill, one of the first two Old Boys to play for the British Lions, back in 1930. 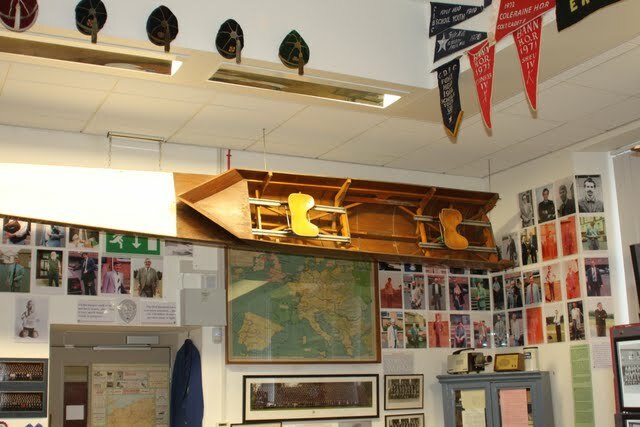 Some other items of sporting and cultural interest generally – are at present displayed in the school’s main Reception Area and at the Drama Studio in this building : we hope that some of these may in time be included in the Museum collection. 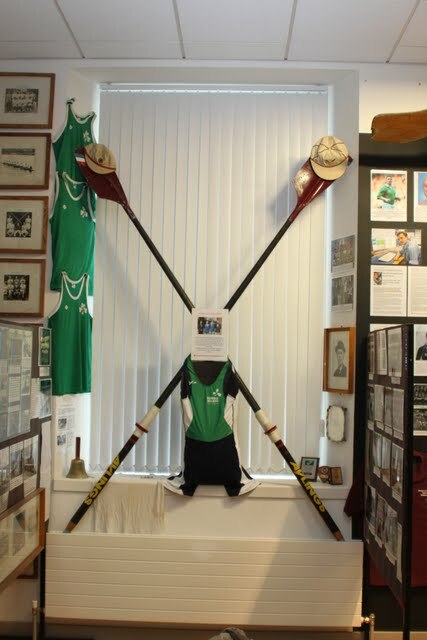 Cricket, and Rowing are also featured, and among the younger organised sports there is a display commemorating Athletics and Cross Country, and some items connected with the Swimming Club. Badminton, Tennis, Golf, Association Football and the full range of other activities will be developed in due course as more material becomes available. 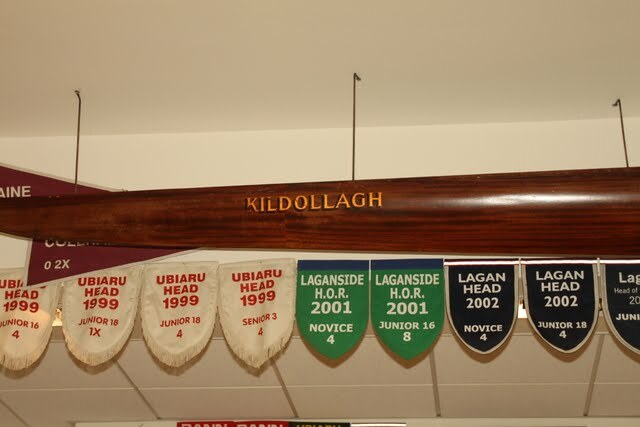 The largest exhibits – suspended from the ceiling in the main museum hall – are sections of two racing eights of the 1970s : the “Carnaroe”, launched in 1970, and the “Coolnasillagh”, launched in 1973. 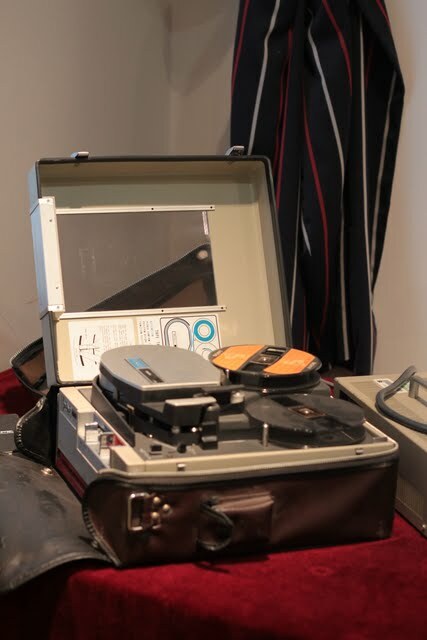 Parallel to the Museum project is the development of a school archive, and a large amount of material is currently being catalogued with the aim of providing a resource for researchers. 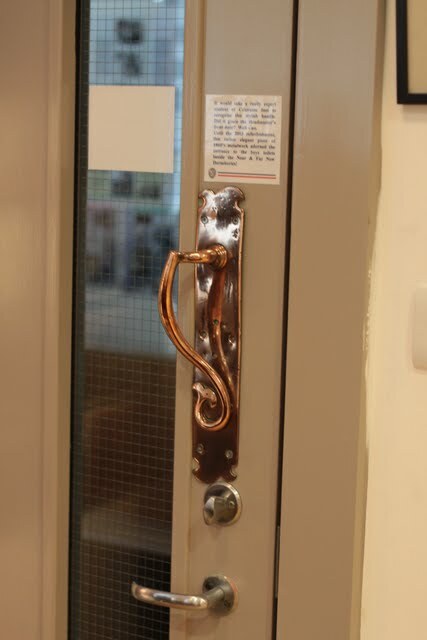 The Museum Curator, Mr J.A.Cassells will be pleased to answer queries, and can be contacted via the School Office.